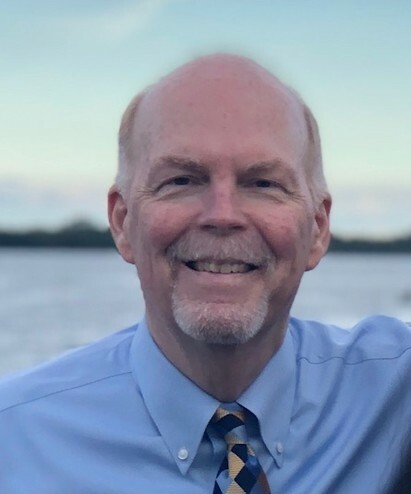 Keith H. Bode was born on January 7, 1957, and he graduated to heaven on March 15, 2019, following a long, hard-fought battle with cancer. He was 62 years old. Keith was the son of the late Rosemary Davis and late Larry Bode of Cape Girardeau, Missouri. He was the older brother of the late Kevin Bode as well as Kristi Bowers of Cape Girardeau, MO, and Kerry Bode of Dallas, TX. Keith is survived by his wife Debbie of 32 years. He leaves a legacy through the lives of his three children; Melisa Dracos (husband Marcus), Waco, TX; TJ Bode, Houston, TX; Andrea Bode (significant other Viga Salihu) Denver, CO; and his three grandchildren, Romina (age 6), Celina (age 4), and Mariana (22 months). Keith was a loving, supportive, and reliable son, big brother, husband, father, and grandfather (G-pop) who will be sorely missed. Keith truly loved playing and watching sports, especially baseball and basketball. His favorites teams were the Chicago Cubs and Chicago Bulls. He worked in and was passionate about everything numbers, finance and accounting. Immediately after graduating college from Northern Illinois University in 1979, he received his CPA and began working as a Senior Auditor for Price Waterhouse. In 1985, he took a position as VP of Finance and Administration at the Chicago Cubs, where he worked for 7 years loving all of his Wrigley Field experiences. He then served as Senior VP of Finance for LinksCorp, LLC (a leading golf course owner/operator) for 13 years before he transitioned into the world of finance at prestigious country clubs. He served as CFO for Medinah Country Club outside Chicago for 8 years, and then moved to Naples, FL in 2016 to take a position at Wyndemere Country Club. In 2017, he accepted a position as CFO at Quail West Country Club (also in Naples, FL), and then spent the last two years of his life truly enjoying his work and the Quail West community. A service of celebration of Keith’s life will be held at Quail West Country Club on Monday, March 18th at 4pm. In lieu of flowers, donations can be made in Keith’s memory to Compass Bible Church (2812 Cinnamon Bay Circle, Naples, FL 34119) or online at www.compassnaples.org.